Find more results for BRAY CUSTOM CABINETRY LLC. Search For "Building & Construction" Companies in Waterford, Connecticut - Click Here Now! About BRAY CUSTOM CABINETRY LLC. BRAY CUSTOM CABINETRY LLC. 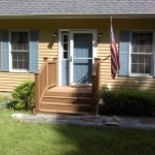 in Waterford is a company that specializes in General Contractors - Single-family Houses. Our records show it was established in Connecticut.